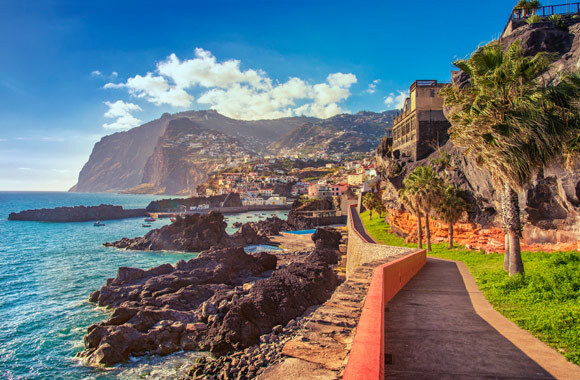 An unforgettable 14-day ALL-INCLUSIVE cruise package from Barcelona to Casablanca, Canary Islands, Madeira, Malaga, and Alicante! Enjoy an incredible trip on the Norwegian Spirit cruise ship. While onboard make a trip to the Tivoli Pool or soak in one of our four outdoor hot tubs. That's just the beginning with 12 bars and lounges, the Maharaja's Casino, and the Roman Spa & Fitness center at your fingertips, you're ready to have a vacation of a lifetime! Arrival at Barcelona airport. Transfer to the HCC Taber hotel (or similar) located in the heart of Barcelona. The rest of the day is free to explore this wonderful city. A transfer will take you to the port of Barcelona from your hotel for boarding the magnificent Norwegian Spirit Cruise ship. Take advantage of this day at sea to discover the different facilities of the Norwegian Spirit. The urban landscape of this famous city clearly demonstrates the contrasts between the old and the new. Start with a visit to the central market, a massive kaleidoscope of colors. 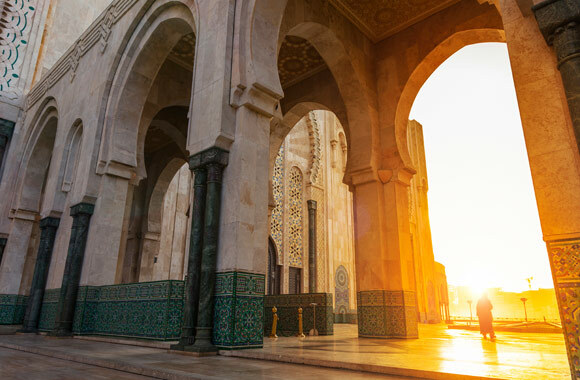 Then kick off your shoes as you visit the modernist landmark of the Hassan II Mosque, the 3rd largest mosque in the world. 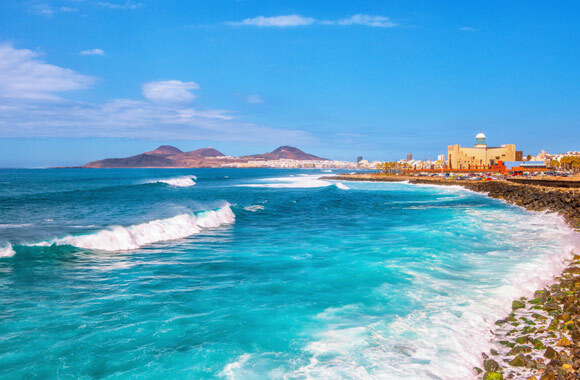 The capital of Lanzarote in the Canary Islands, Arrecife (which means “reef” in Spanish) is renowned for its abundance of reefs and islets along its coast. If your cruise takes you to Arrecife, be sure to explore this island's many natural wonders, from the fabulous El Reducto beach to the craters, lava tunnels, canals and tubes of Los Volcanes Nature Park. Founded in 1478, today Las Palmas is a bustling, cosmopolitan city with plenty of Spanish atmospheres, culture, and history to go around. Take a scenic drive through the Angostura Valley for an unforgettable experience. Located at the eastern tip of the island of Tenerife, the largest of the Canary Islands, Santa Cruz is a natural cruise destination as over half of its perimeter is shoreline. The beaches are perfect for that. From the yellow sands of Las Teresitas to the black sands of the quieter, nudist Las Gaviotas. There's also plenty to do and see inland, especially if you're here during the spectacular Carnival. The mountainous isle of Madeira has been a popular European destination for years. The idyllic island is perfect for exploring with its beautiful beaches, stunning lava formed landscapes and lush, green forests. But sampling the famous Madeira wines is also an absolute must. The strategic position to the Mediterranean Sea has always made Malaga an attractive zone for foreign invasions. 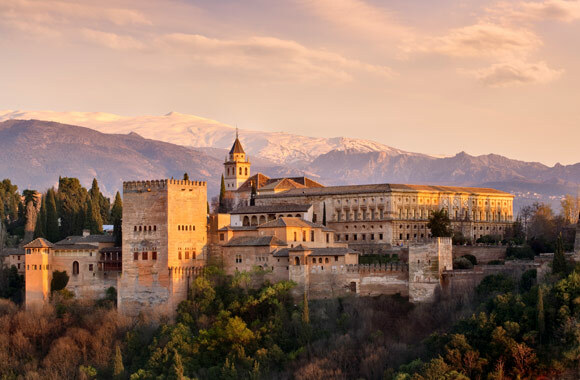 From Malaga, a trip to Granada showcases an intriguing blend of Arab and European cultures. Be sure to visit The Alhambra, one of the finest examples of Moorish art in Spain. This Costa Blanca jewel lies between mountains and sea fronted with miles of beaches. Spanish Baroque at its finest, Cathedral de San Nicolas is well worth the stop. Discover the La Alcudia Archaeological Sites, a working dig occupied since the Stone Age. You will be transferred to the airport for your return flight home.